First off I'd like to thank I Am A Reader Not a Writer for putting together this hop where every blog will have a gift worth at least $10.00. AND to make sure you can enter them all there will be no more then 6 entries on any of the giveaway forms!! A list of the other bloggers can be found underneath the Rafflecopter form below! Everyone knows I love reading and if you don't--well just click on the book tab to your left that might give you an idea! 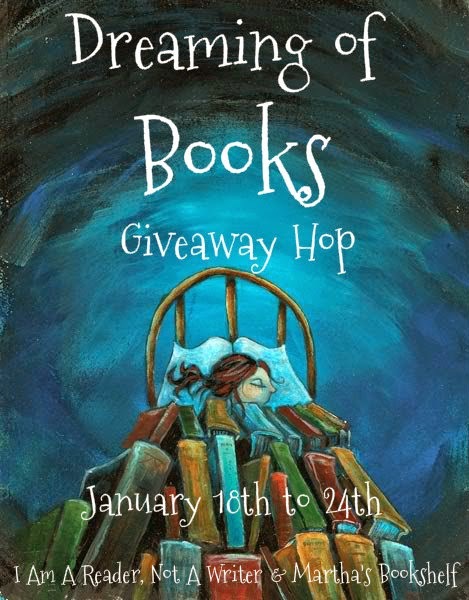 According to Goodreads I read 185 books in 2014--actually that number is a bit low----be that as it may I have decided that as usual Miki's Hope will be giving away to one lucky winner World Wide either a $25.00 Amazon GC or $25.00 PayPal (winners choice). I hope that you will use the winnings to buy a book or two--but hey--we all need stuff and it isn't always books!! If I win it will definitely be books! I'm definitely buying a book if I win. I try to read whenever I can: in bed, on bus, on flight, etc. I love to read book because it takes me to different places, so if I win I will buy a book that I want. I read constantly and yes I'll be using it for books on my wish list. Thanks for the chance. I ALWAYS make time to read! I love to read and generally read more than 100 books a year. However, I volunteer at the library and get all my books from there so I'll probably use the gift card for something else. I make time to read. If I win it will probably go to buy books. Not sure which books right now...but there is always at least one I want. I always walk with my book! I love reading and i would spend it on some of the more pricey ebooks in my wish list that i have been dying to read. Love to read. I'd probably use it to buy a new kindle. Mine has charging issues. BOOOKS! I'll buy books and books and books. I have a sisters and cousins who loves reading too, would love to buy something they would read too! I adore reading. I will most likely spend the money on books. My TBR list has 1,600 titles on it!!! I love reading and I would buy more books for sure. I have a big list of new releases that I would love to read. Yes I enjoy reading when I have the time, not sure what I am going to buy with the gift card yet. I enjoy reading before I go to bed each night. I'm not sure what I would use the winnings on yet! I love reading and will definitely be spending the money on books! I have always loved to read and wish I had more time. I will buy a book if I win. I make it a point to read--I'll find time. I will indeed buy some books, for me and for my granddaughter. She loves them, too! I always have time to read! It's not a question of finding the time for me, i just do it. I will buy more books if I win! I enjoy reading and would take the plunge and buy 50 Shades of Gray. I like reading fiction and memoirs. I might not spend this on books though as I have quite a few waiting to be read! I enjoy reading anytime, and yes, I would buy books! I will definitely be buying some books. I enjoy reading anytime, but I especially enjoy it when I have the house to myself and nothing to bother me. I'm always reading--it's a given! I read when I have the time. I enjoy reading and would use the Amazon gift card towards getting a book. thanks a lot! I am an avid reader. I always have a book on my nightstand to read. If I win, I will use the money for books for me and my sons. I love zombies and my kids love dinosaurs. I enjoy reading anytime! I would definitely being buying a book if I win! I do enjoy reading! I want to buy North & South by Elizabeth Gaskell. I do enjoying reading but mostly the bible. I am definitely going to buy books. It has been a long time since I had a book shopping haul and it stresses me out. Lol. I read any chance I get! I'm not sure what I would do or what book i would choose if I won . I love to read it helps me escape. I love to read. My 8 year old grandson has Asperger's and has just learned how to read. We are both so excited, so I would use my winnings to buy us both some ebooks. I love to read anytime of day or night. I definitely most likely use it to buy books. I love to read and will definitely use it to buy books. I am also going back to college so I can use this. I love reading- it's the perfect escape :) I'd definitely buy more books! I love reading when i get the chance & will probably buy some new books if i won. Yes i love reading. If i would i would get some new books for my daughter. I think there is always time to read! I'd buy more books. I really like to read! I love to escape into books, and I read whenever I can. Unfortunately, I have some busy weeks studying, but I try to read every day! Thanks for the giveaway, and the chance to get my hands on some new and amazing books! The gift card will definitely be spent at books! I really want to read the Dust Lands trilogy, so I may buy those if I am the lucky winner! I love to read and take my reader everywhere with me! If I won I would be buying more ebooks! I love to read and will be buying books! I babysit my two year old grandson everyday and will get him a book or two also. I want him to enjoy reading as much as I do. I love reading always and would absolutely by books! I love reading and read every day, no matter how busy I am. I'd definitely buy books. I love reading, but I never make this an obligation, since reading is for fun and not competition, right? I love reading and always make the time for it. It is my time to relax. Yes I would buy books if I win. I have a long list of books I want. I enjoy reading late at night when my boyfriend is in bed and the tv is off. I would use this gift card towards some home decor items. I love reading whether I have the time or not. I probably use the GC to buy ebooks. nks for sponsoring this wonderful giveaway and for the opportunity to participate. I like to read, especially in the evenings before bed. I always have a large TBR list and am adding to it constantly. I am an avid reader and I would use the money to buy more books. I do enjoy reading . I would probably use the money to buy some books. I would buy either a new release like Skin Game by Jim Butcher or several ebooks (Edward Lorn, Michaelbrent Collings, etc.) or an audiobook. I love reading. I would buy Dead of Winter by Kresley Cole. Thanks. I love to read so much that if I don't have time to read during the day I get cranky. I'm torn between spending it on books, or getting it on paypal and buying this cover I want for my Nook e-reader. I love to read, and I have no doubt I spend almost all my gift cards on books. I like to read, but have to make time for reading. I do want to get a book but it is not on Amazon, in a local resale store, it is a local book. I love reading books but as a single mom of 2 small kids I don't find very much time for reading. I would use the gift card to buy more books for my kindle so they would be there when I did have the time. Yes, I still enjoy reading even if I'm busy. I would like to get some books from my wishlist or use the card towards an ereader. Yes I do enjoy reading and I would probably buy more books with the paypal cash. Thank you for the giveaway. I love to read!! If I win, I'll use the winnings to buy a book (or books) for my classroom. My students enjoy borrowing all my titles! I'm a ravenous reader … always have been and always will be—buying books is one of my favorite things to do! Heh...just yesterday, I was told I read TOO much. Not possible I know. ;) And would definitely buy more books!! I love reading, and would absolutely use the money for books!! Thanks for the giveaway! I love to read when I can and I have tons of books to read but always want more. I love reading! I make time for it! I enjoy reading & will probably buy books if I win. I love to read and I would use the gift card to buy books. I love reading... and yes I will be buying books. Yes,I most definitely love to read...every day! I would probably most likely buy some books from Amazon! Love reading! I am a bookstore manager, I have a book blog, and never enough time to read all that I own, borrow, win, etc. Yet I continue to perpetuate this illness by buying more. LOL. I would definitely use the gift card for books. I do love to read!! i would buy a book for myself then use the other $15 for a giveaway since i am a firm believer in karma and the more good you put out the more you get back! I love reading and can always find time to read. And I will definitely use the GC on books. Thanks for the chance. Problably to buy book... love to read! I read every day! If I win, I'll definitely buy books! I love reading and would certainly use the prize to buy books! I love to read, and I'd love to buy some books if I win! I am obsessed with reading, and make the time! I would definitely get more books! Books, books, books! I love to read! I would either buy books or buy a cute outfit for my daughter. I love to read! Buying a new book is such a treat. Books definitely! Thanks for the great giveaway! I LOVE to read every day. I'd absolutely use it to buy books for my kindle. As much as i enjoy reading, I think I'd spend the money on some more important things in my life right now (health). I love to read. I read on the treadmill or the elipical to keep me on the machine. I love reading and I find that when I'm the most stressed, it helps me to make even just a few minutes to read for a bit. Reading helps me relax. I would love to use the prize money to buy books! Right now I'm enjoying reading Betty Neels' novels. I love to read, I read anywhere from 2 to 4 books a month, I used to read 3 books a week but I don't have as much time anymore. I would probably use the gift card to buy stuff for the new house. I love reading and would definitely use the Amazon gift card to purchase books. Thanks for the fantastic giveaway! I'll definitely be buying a book, and perhaps one for a friend too! Since I don't need anything else, I probably would get books. I love to read! I make sure to grab every chance I can get! I think I would buy new books if I won! Yep, books it would be! Thanks for the opportunity to win! I enjoy reading, though I don't always have the time. If I win, part of it will go to get Outlander, one I've been looking for, and the rest will probably go towards stuff for homeschooling. I'm an avid reader and the chance that the gift card will be spent on books is rather high. I read every single day and I would buy books with the gift card. Yes I love to read but if I win I would use it to buy items for kids in need. I love reading book with my children. I would save the money for a bit. I love to read...whether on my Kindle or by borrowing books from the library! I'd put the money into my childrens' college fund! I do enjoy reading it is one of my favorite things to do to relax. I would use the winning prize to buy books for sure! I read constantly! Yes I will get books with it. I love to read! Sometimes I have difficulty finding the time to read though. I would use this to buy some new books for myself and my daughter. I love to read as much as I can! I make sure its part of my daily routine! I'm sure I will buy books with this prize if I'm lucky enough to win! I've been dying to read the Unwind Dystology, but it's a bit too pricey for me. If I win I'll buy 2 books in the series! I read every single night. It's how I chill before bed! And I'll definitely use the winnings to buy a couple books! I really enjoy reading, so I would be spending the money on a book/books if I win! I usually read even when I don't have the time. So it will probably be books. I love reading. I'm saving to get a new Kindle. Mine finally clunked out on me. Oh yes - I will definitely be using the money for books, should I be fortunate enough to win! I love to read and technically don't have time but make time :) Thanks! I make the time to read. Reading is one of my favorite things to do. I love it for so many reasons that I will always find the time to fit it in. One of my favorite times to read is right before I go to sleep because that is always a quiet time and I find that I can get lost in a book much easier when I am not watching the clock. Do you enjoy reading whether you have the time to do so or not. If you win will you be using the winnings to buy books or something else? I always have a book with me. Would love to win and purchase a couple new reads for winter! Thanks! I love to read and I will definitely buy books if I win. I read to help me escape. If I win, I will use it towards more books. I read when I can, usually on my lunch break at work. I will be buying ebooks if I win. I would use it to buy books for my kindle love amazon! Thank you for the great giveaway! I love to read. I definitely would buy books. I love to read. I try to read at least a little each day. Some days I get to read a lot. With all the books on my wishlist, using this prize for books would be an easy pleasure. Thanks for the chance! I enjoy reading 24/7. I'm a bookworm and I'd definitely use the GC to buy books. I need more books. I don't like to read if I don't have time. Then, I just read magazines. I'd probably use it to buy my dog's treats. I have way too many books right now. I love reading! I might buy books or save up for another ereader since mine is getting filled up! When I start a book nothing else gets done until the book is done. I'm saving up to buy a tablet. I recently rediscovered my love of reading books! I like to read a few chapters every night. I would use the gift card to buy more books for my grandkids! I enjoy reading if I have the time, and I will get new jeans for my husband if I win...Thank you for the chance to win. I'll get books or put my winnings toward getting a kindle. Thanks for the chance! Yes I love ready very much I would probably buy books with my winnings if I won. Most likely I'll use it for books. Of course season 5 of Downton Abbey is now available, so I may use it towards that! The winnings would definitely go towards more ebooks. Definitely. I am a total bookworm, digital or print, and have even been caught trying to squeeze in a few lines of text while stuck at traffic lights. I really enjoy reading and if I win I would like to buy a nice book! If I win, yes I will be buying more books! I still have too many on my wish list! I try to read everyday even if for only a few minutes. I will buy books! Yes, i live to read and would probably use the prize to buy a copy of International Night: A Father and Daughter Cook Their Way Around the World. I do love to read, but with two little boys in the house, it sure is hard to find the time! I do like reading when I find the time and I will probably buy books if I win. I enjoy reading mostly at night. I definitely would buy some books.